We are thrilled to announce that Eusebio Waiti from Niassa Lion Project (NLP) and Appa Rao Allaparthi from Fishing Cat Conservancy (FCC) were honored as 2016 Disney Conservation Heroes for their tireless work in wildlife conservation. WCN is proud to support these bright, solutions-oriented conservationists and wish them much success in their work. Ten years ago, Eusebio Waiti was a skilled hunter with no knowledge of conservation, and living in a remote village deep inside the Niassa National Reserve in Mozambique. Today, he is a wildlife guardian and local champion for conservation – using his extensive bush skills to track, collar, and study lions in Mozambique, to be better able to protect them and educate communities about the importance of wildlife conservation. Eusebio is a critical member of the Niassa Lion Project team, in charge of monitoring lion and prey density and helping communities reduce human-wildlife conflict. Among communities where few believe in conservation, Eusebio’s local experience, charisma, leadership, and increasing conservation experience make him a powerful local voice for conservation. “No one is born a conservationist,” said Colleen Begg, founder of Niassa Lion Project, upon announcing Eusebio’s award to him in front NLP’s permanent staff and village elders. “Conservationists are made through the experiences they have…Eusebio is a great example of this – from a hunter to a conservationist, role model and local champion in 10 years. His charisma and dedication are an inspiration to us all.” Eusebio is truly an integral member of NLP’s team and it was wonderful for them to get to honor him with this award. Appa Rao Allaparthi became involved in conservation after witnessing the loss of mangroves to development in the river delta near his home in Andhra Pradesh, India. Following that experience, Appa Rao felt compelled to volunteer for a community project which restored approximately 11,000 acres of mangroves over five years. Previously an electrical engineer, Appa Rao is now known as the “Mangrove Man of India,” a name given to him by the Fishing Cat Conservancy. His instrumental role in mangrove restoration is locally recognized in more than 30 towns, and Appa Rao now dedicates his life to mangrove and wildlife conservation. As lead field conservationist for the Fishing Cat Conservancy, he has educated people in more than 20 villages about the importance of fishing cats and their mangrove habitats and is working to create community-managed protected areas for fishing cats. Appa Rao was thrilled to learn of his Conservation Hero award – Disney’s global reach will help both him and Fishing Cat Conservancy to communicate his mangrove restoration and wildlife conservation techniques to a wider audience. He celebrated the announcement of his award by continuing to do what he does best – educating people about the importance of fishing cats and their mangrove habitats. 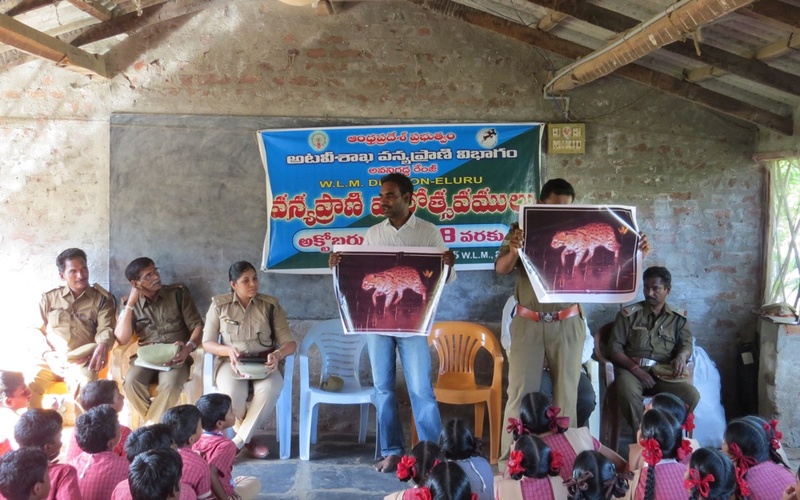 That day, Appa Rao taught 350 children and youth about wildlife conservation, in partnership with the Andhra Pradesh Forest Department near the Kothapalem village of the Krishna River Delta area. The Disney Conservation Fund focuses on reversing the decline of wildlife and increasing the time kids spend in nature. Since 2004, Disney has honored more than 100 Conservation Heroes from around the world for their extraordinary conservation efforts. For information on Disney’s commitment to conserve nature and a complete list of 2016 Conservation Hero Award recipients, visit Disney.com/Conservation.